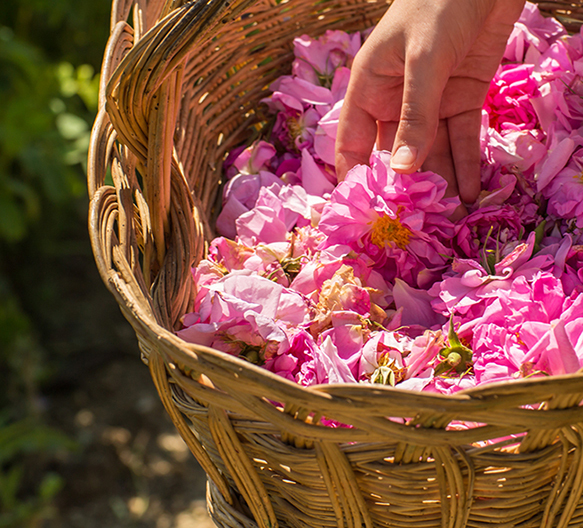 Eleonora Scalseggi has this to say “Although we do indeed already offer a Persian Rose Otto material, after sampling this particular batch from an artisan producer we felt we needed to offer it alongside the existing one because of its impeccable and perfectly balanced aroma profile. When experiencing a rose otto for the first time it is common for the nose to need to learn that the aroma profile of the distilled material will generally slightly differ from when inhaling the suave scent of an actual fresh fragrant rose. If you are among those who instead dream that a rose otto should exhale pure rose beauty from the very first whiff, then this material is for you. Unmistakably rosy, dewy-fresh diffusive and delightfully bright, this Rose Petals Persian Otto is also softly warm with a lovely delicate honey sweetness. Unsurpassed in perfumery for countless applications as well as in aromatherapy for its deeply soothing and calming properties, this material particularly displays all the hallmarks of a timeless classic. This is an absolutely stunning rose otto. I analyzed this material by diluting to 20% concentration by mass in neutral 190 proof spirits. Immediately after dipping, the otto exudes notes of mouthwatering lychee on the tester strip. After a minute, a very true damask rose scent emerges, complete with all of the spicy nuances of the live flower. As Hermitage says, this material smells much more like the headspace of the rose than other ottos. The longevity is also superb. This rose otto will spoil even the most picky connoisseur of rose materials. Bravo to the producers and to Hermitage for sourcing this exceptional material. An ethereal feeling, the odor is so soft and delicate, like there is a linalool-type light woody ring around you. It’s like the fresh rosewood molecules, have just met their new oxygen molecules friends for the first time and they are having a happy conversation. The experience of smelling this item is really close to entering your nose inside the open petals of a Rose Damascena flower. One of the most amazing, impeccable, natural materials available for rose compositions excels for its soft and light character. It describes perfectly the sense of a dream in a rose world.